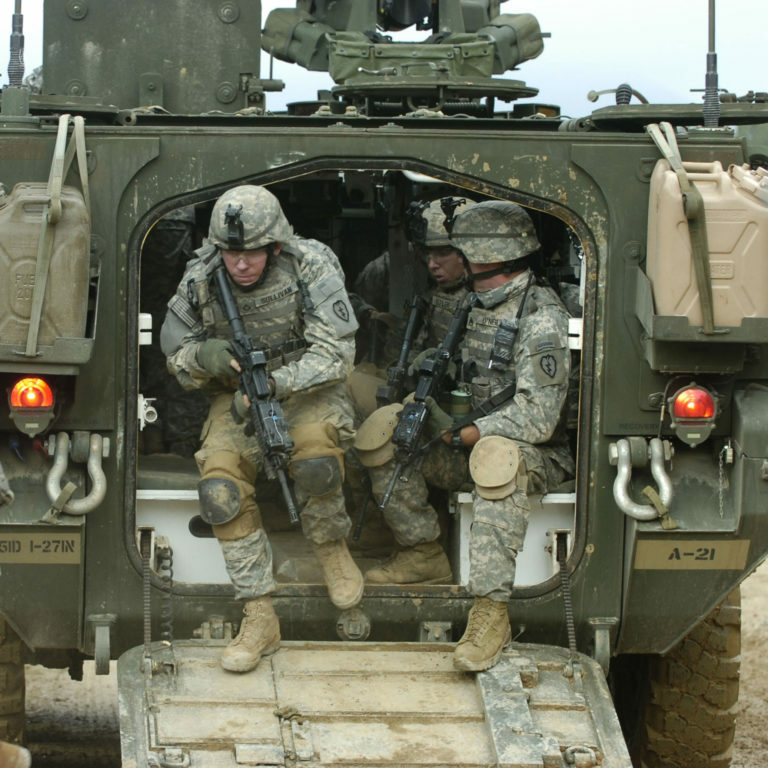 Military Surface Vehicles present an array of shock and vibration challenges due to the severe field conditions they are exposed to. 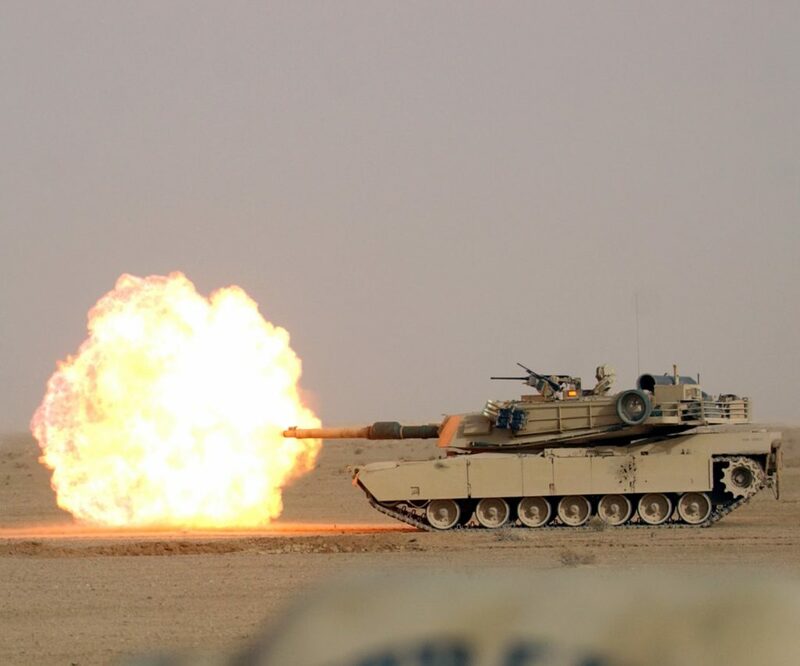 Tough off-road terrain, IED threats and harsh environmental conditions produce severe amounts of shock and vibration that need to be properly attenuated. 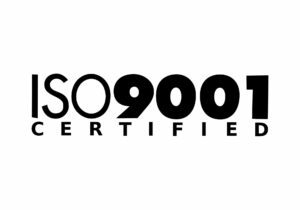 Shock Tech’s line of high deflection mounts protect electronic equipment, engine, transmission and suspension components. 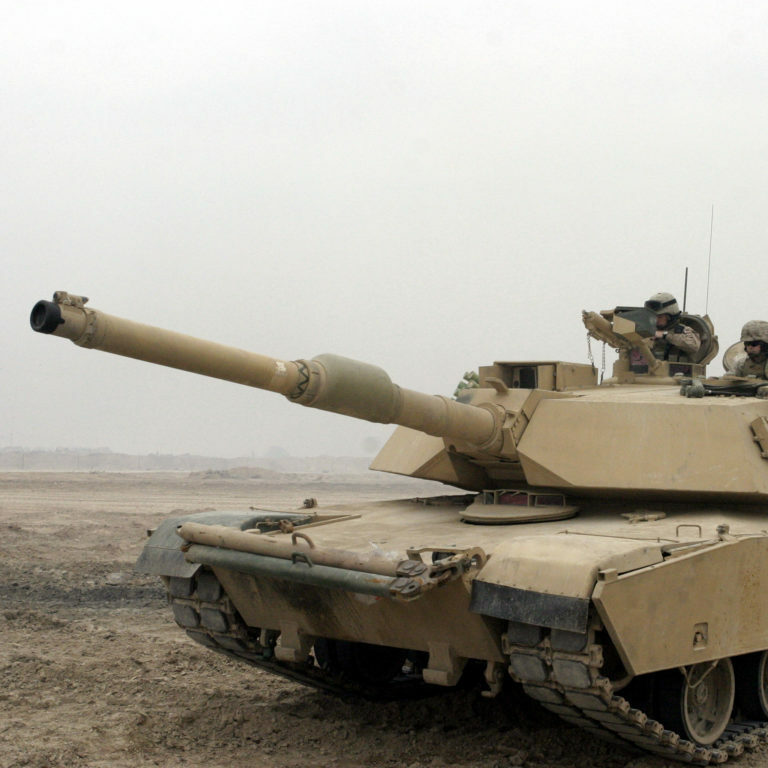 In production since 1980, the M1A1 Abrams is the third-generation main battle tank. 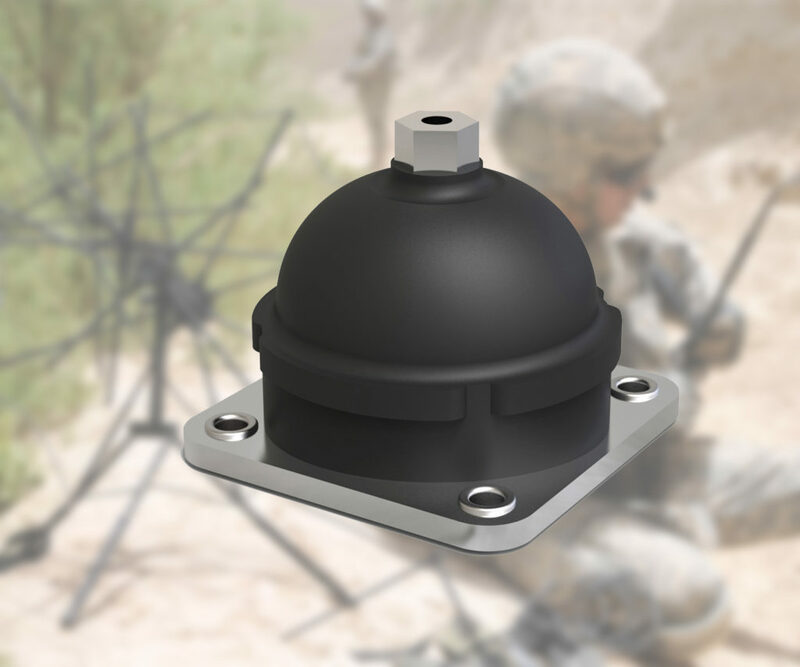 Shock Tech provides turret mounts and isolators for various equipment capable of attenuating large shock energies that may be generated in the battle field. 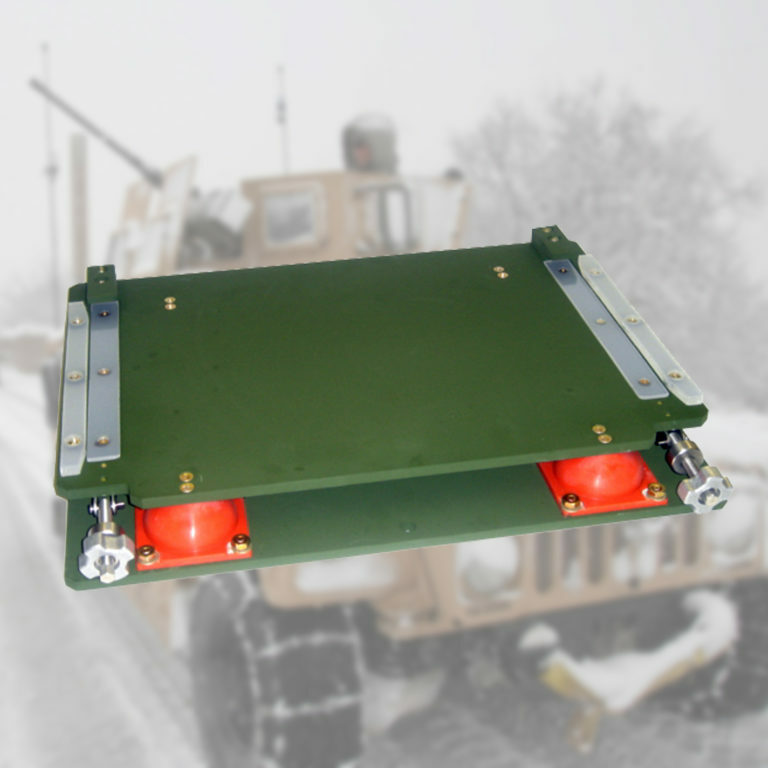 Shock Tech’s CMA Series mounts are utilized in the ruggedized computer and monitor components of the Blue Force Tracking system. Pictured left, Tech. Sgt. 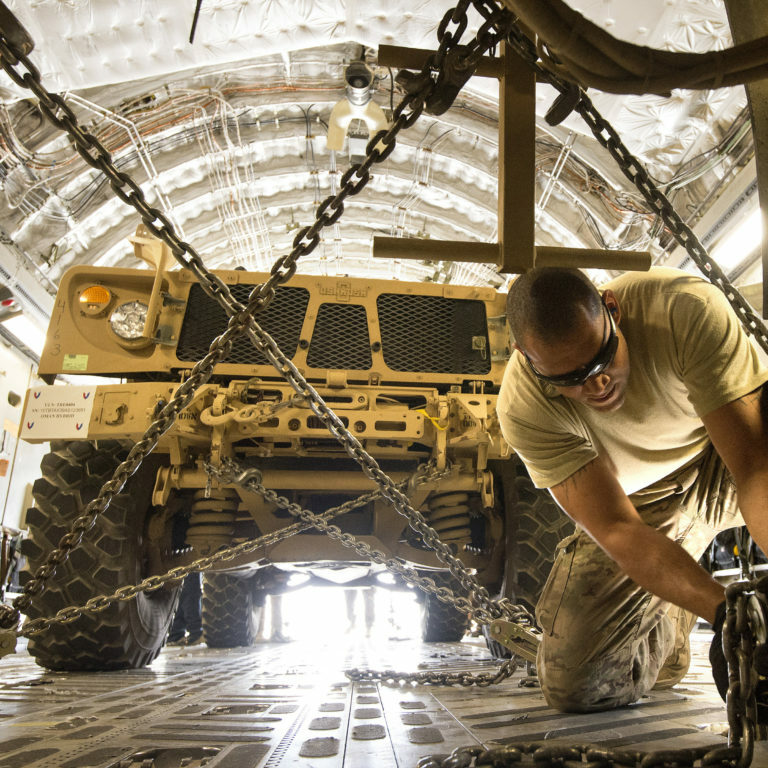 Bradley Dobson, 124th Air Support Operations Squadron, communicates with fellow Idaho National Guardsmen through the Blue Force Tracker. 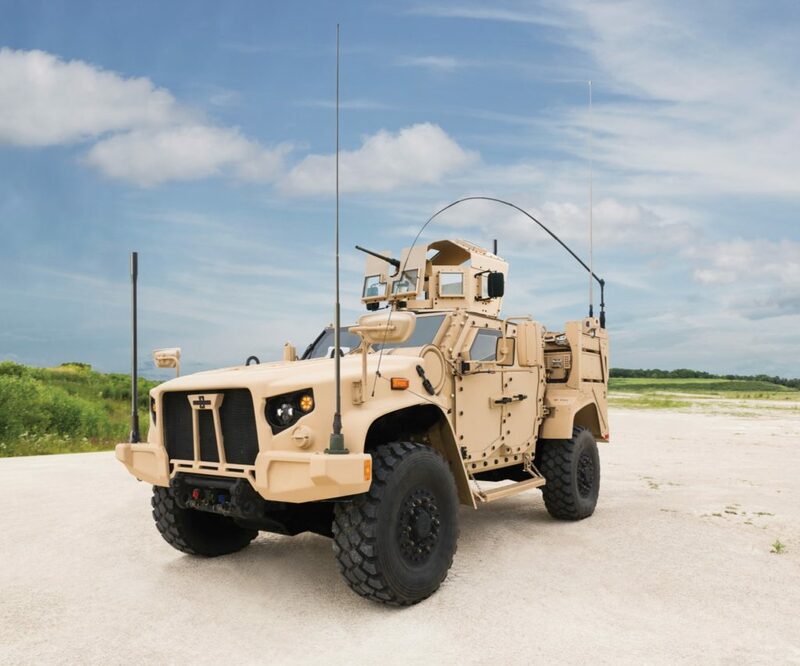 Replacing the HMMWV (Humvee) the JLTV is slated to become part of the next generation of more survivable military surface vehicles. 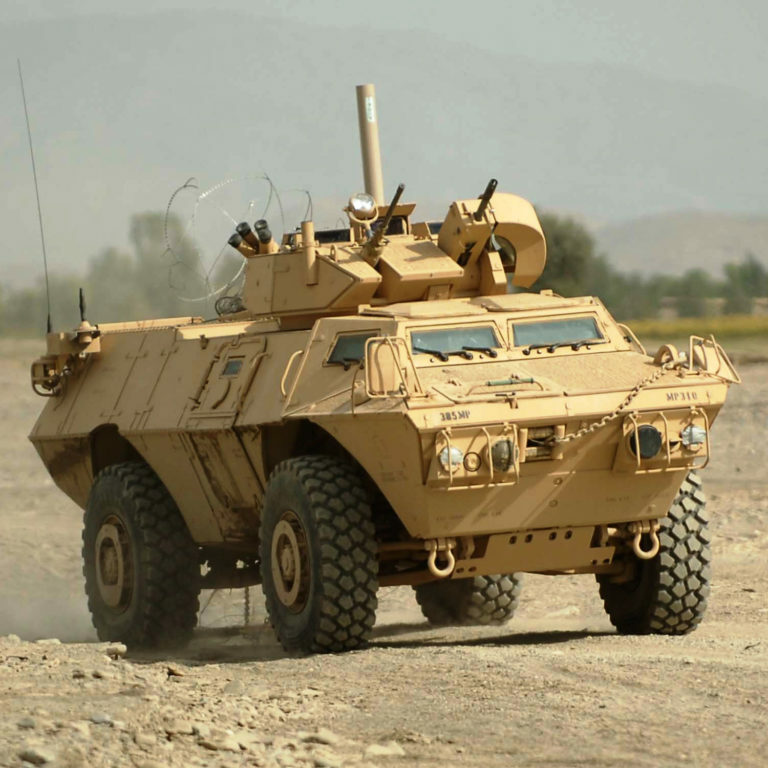 Shock Tech has worked to design and manufacture shock mounts for multiple components of the JLTV. 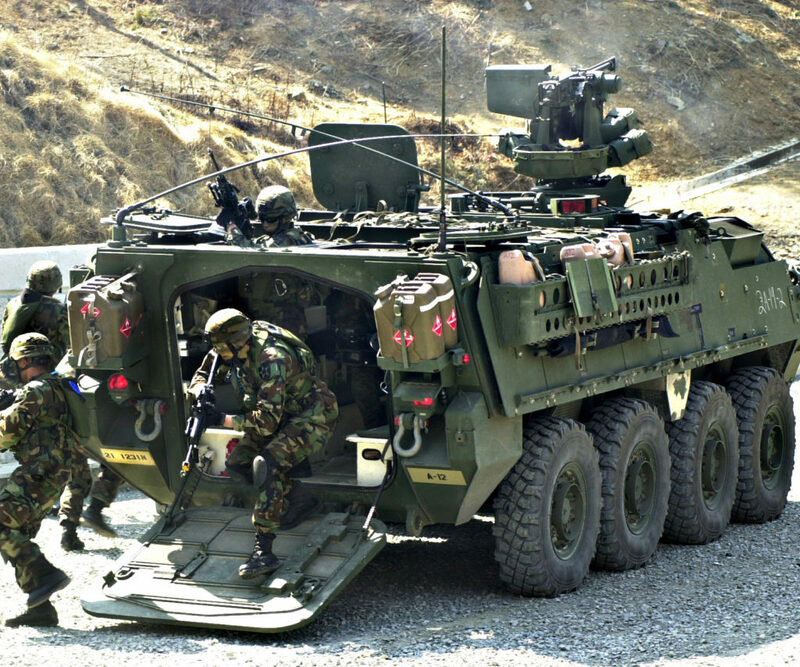 Stryker is a family of eight-wheel-drive combat vehicles, built for and operated by the US Army. 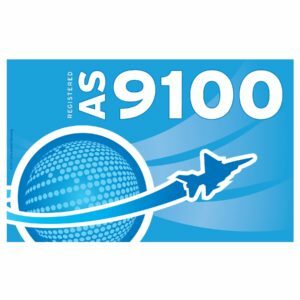 Shock Tech provides shock isolation systems for sensitive onboard electronics enclosures. 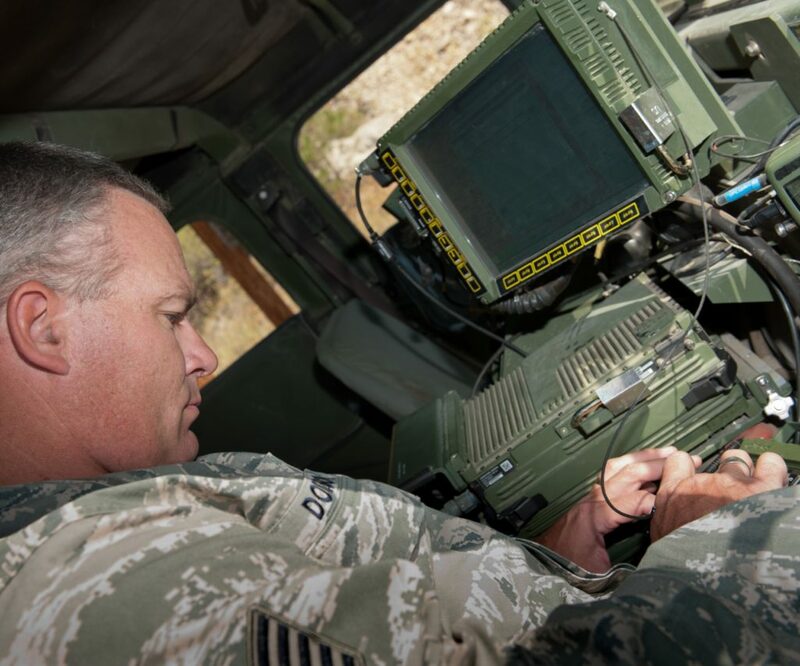 The BOWMAN family of tactical radios provides the British Army with HF, VHF and UHF voice and data communications from HQ to the fighting units. These units are mounted on Shock Tech isolators. 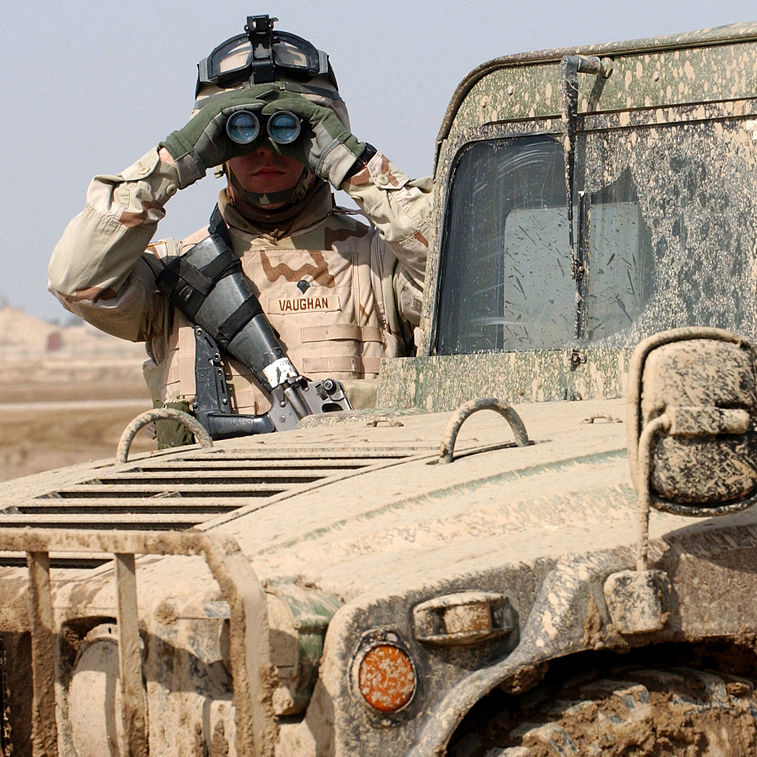 Gyrocam sensor systems deliver elevated and unobstructed vision to the personnel in the safety of the vehicle. 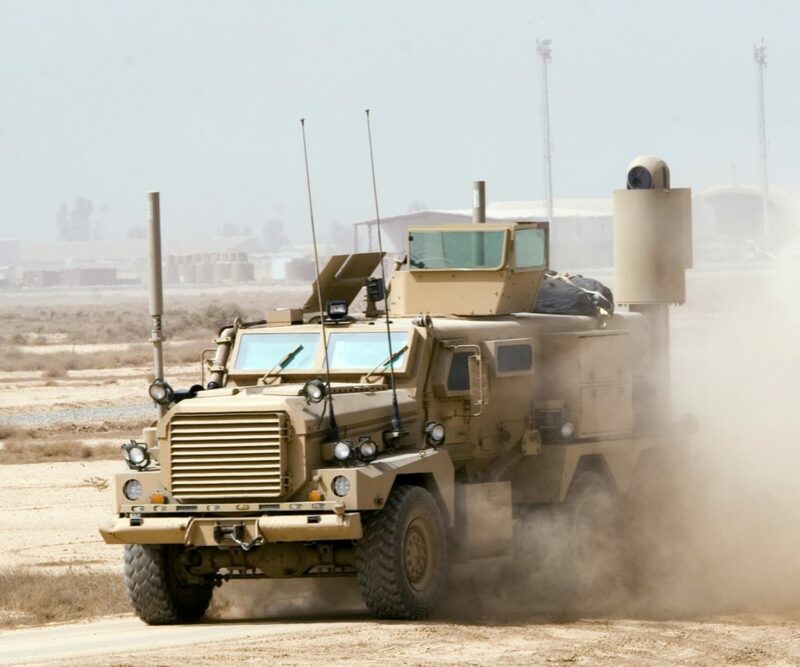 Pictured left; Mine Resistant Ambush Protected (MRAP) vehicle which utilizes a Gyrocam system incorporating Shock Tech’s shock and vibration isolation technology.